The 2017 Ford Raptor is a revolutionary truck that combines incredible off-roading capabilities with luxury and speed. It comes as no surprise that it is a certified fan favorite and has even been named Pickup Truck of the Year by Popular Mechanics. This year’s model has brought with it several improvements and showcases remarkable features that no single other vehicles can provide. 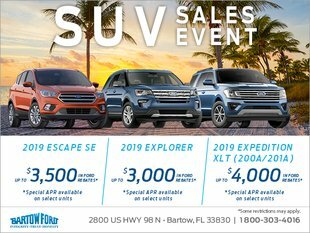 Bartow Ford, the best Ford in Lakeland, FL dealership, is delighted to discuss why this vehicle is so worthwhile. Last year’s model was running off of a large, massive V8 engine, whereas a new EcoBoost V-6 powers the 2017 model. At first, consumers were skeptical about the change to a smaller engine, but reservations faded once they found out that this model is capable of providing 40 more horsepower and 80 more lb-ft of torque as compared to the previous year. This year’s engine is more than capable of towing large trailers and is excellent for off-roading. You can also go from 0 to 60 in 5.3 seconds, which is an amazing feat. One of the greatest features for enthusiasts is the Drive Mode Selector. This year, two drive modes are catering specifically to drivers who want to have some fun. Baja mode turns on the four-wheel-drive, increases throttle response, and allows for quicker shifting as part of the newly designed 10-speed automatic transmission. Baja is perfect for going through rough terrain, making use of the professional quality suspension system. This year brings specially designed tires that have been created as part of a collaboration with BFGoodrich to provide incredible comfort and performance. There’s also a sports mode for drivers who want improved steering and handling while on the pavement. Inside, you’ll find a large infotainment system, as well as a digital dashboard that allows users to control a variety of features on the vehicle. You’ll also find a special knob created solely for maneuvering the truck while you have a trailer hitched which, coupled with backup cameras and innovative sensors, make for the ultimate trailering experience. 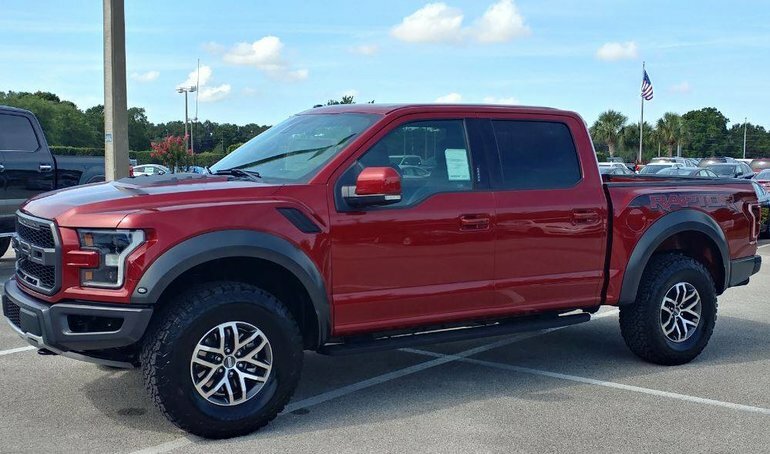 It’s easy to see why the 2017 Ford Raptor is a fan favorite for customers who shop with Bartow Ford. We are the premier dealership for Ford in Lakeland, FL customers, and we can help you too. Visit us from Monday to Saturday on 2800 US HWY 98 North or give us a ring at 800-303-4016 for more information.